‘School improvement is strongest when schools work together.' 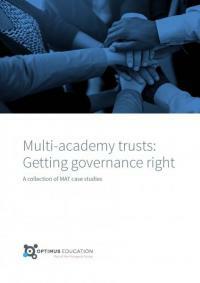 Lisa Griffin reports back from the first day of our multi-academy trust event. School improvement was the theme of the day as the third annual MATs Summit kicked off. The morning saw talk of how to use data to drive improvement and a panel discussion focusing on the role of MATs in school improvement. The panel was made up of Stephen Tierney, CEO of Blessed Edward Bamber Catholic Trust (@LeadingLearner), Chris Tweedale, chief executive of Aldridge Education (@Chris_Tweedale) and Andrew Thraves, director of education at Prospects and trustee at AET (@AThraves). ‘School improvement is strongest when schools work together,’ Stephen said, a belief that those working in MATs no doubt share. Chris described MATs as being a relatively young industry and one that is still learning. Mistakes have been made, and probably will continue to be made, but learning from them is how you improve. ‘You have to go backwards before you can go forwards. You’ll get worse before you get better,’ he said. A quick poll of the room found that the majority of the 190 delegates were from small MATs of two to five schools. These smaller MATs may have less resource to draw on for improvement than their larger counterparts, so it’s important to get creative. Work closely with the schools in your MAT to identify the expertise and talent you do have – it’s there in every school. All schools (even struggling ones) have their good, even outstanding points. Great leadership will use these good points to improve teaching and learning, and indeed the school itself. Andrew talked about due diligence and the areas his trustees at AET will look at before deciding whether or not to take on a school. Safeguarding, finance, standards, Ofsted and operations are just some of the considerations before deciding if the school will fit. Chris made a point that was well received by delegates. Data diagnosis such as the due diligence process needs to be done, but it isn’t school improvement. School improvement is what you do with the data – how you use it to improve the quality of teaching and learning, CPD for teachers, staff retention and governance. Closing the discussion, the panel were asked to choose one thing they wish they’d known when they started working in school improvement. Andrew’s response was that each school is different, and must always be treated as such. Stephen’s advice was to remember that it’s a long game. Get some quick wins where you can but slow down, plan and think about how improvement can be sustained. For Chris, ‘School improvement happens in the classroom. You need great leadership, strong governance and excellent teaching in the classroom every day.’ No one disagreed with that. 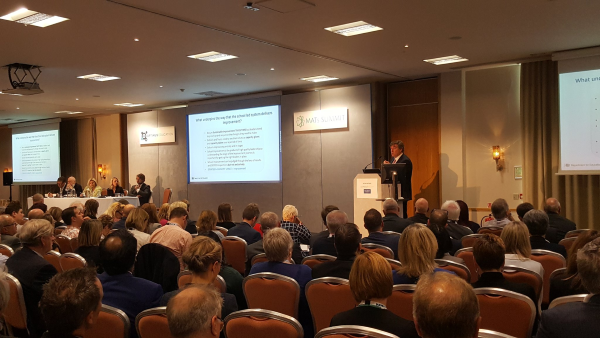 The focus on school improvement continued through the sessions and was taken up by Sir David Carter (@Carter6D) with the afternoon keynote. He gave the room the calculation below. The strategy comes from strong leadership and good governance. The capacity might not exist in your MAT at the moment; there are times when your trust will be a ‘capacity giver’ and others when it will be a ‘capacity taker’. There are quick fixes that can be made to stabilise a school but sustained improvement comes over time. Sir David identified four phases of school improvement and focused on the key questions governors should ask in each phase. Do you understand what changes need to be made to aid improvement? Have you prioritised the strategies you need to implement? Where are the pockets of stronger practice that you can develop and share across schools? Have we got the balance right between support and challenge? As a board, do we need to refresh our professional expertise and capacity? What are the areas we still need to repair? Are we getting the balance right between quality assurance and operational improvement? What capacity do we have to support another school? Are the strategies we have implemented scalable and replicable? What are the risks to us reaching a performance plateau and how do we avoid that? For MATs, school improvement means taking the best practice from your schools and standardising that best practice across all your schools. It’s important that schools in a MAT retain a level of autonomy, but commonalities must also run through the trust. Having common data systems and collection points, academy SEF structures and leadership accountability structures ensures effective practice is maintained across your trust. Although a strong focus of the day, school improvement was just one of many discussions and sessions. Leadership, governance, collaboration, financial management – all of these and more have given the delegates much to ponder over as the sun sets over the Cotswolds.